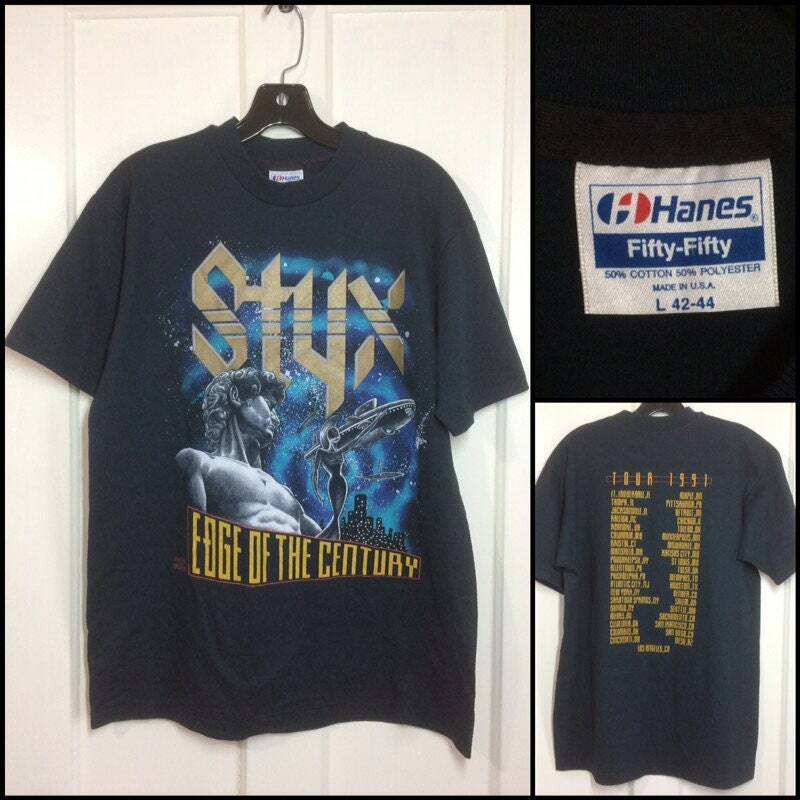 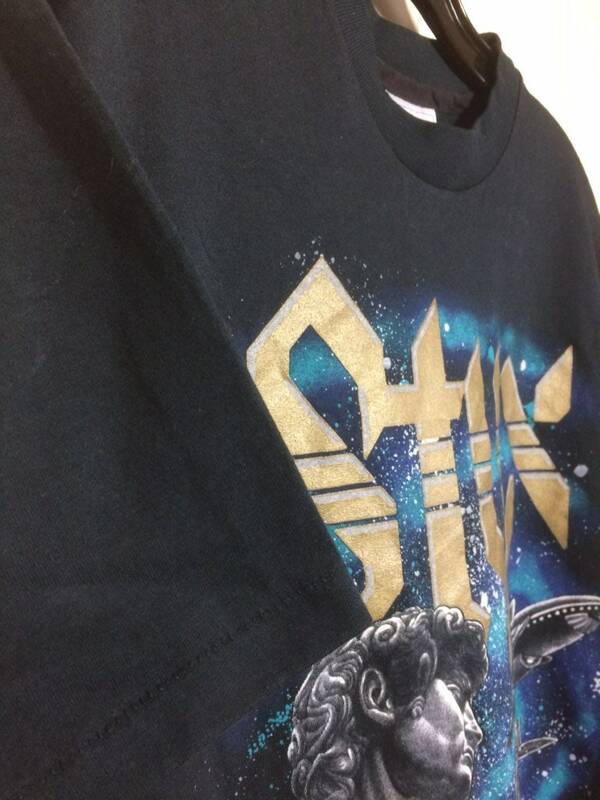 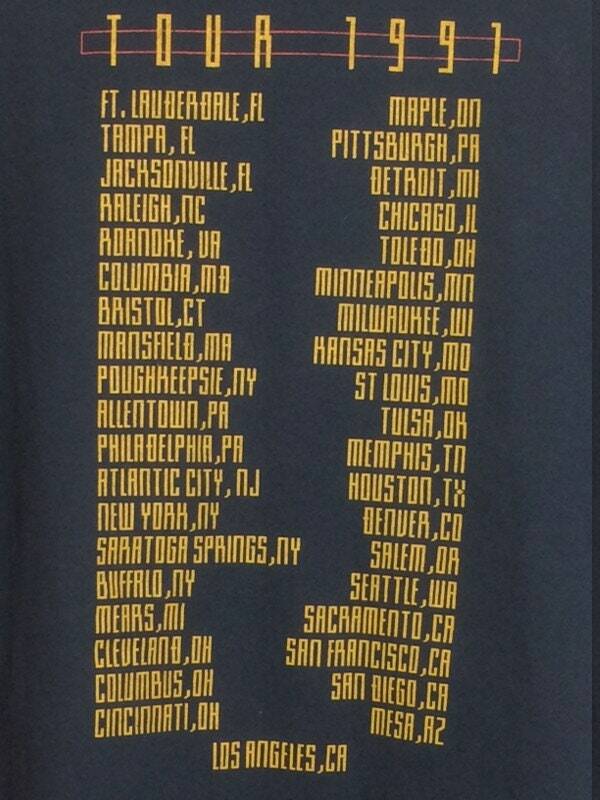 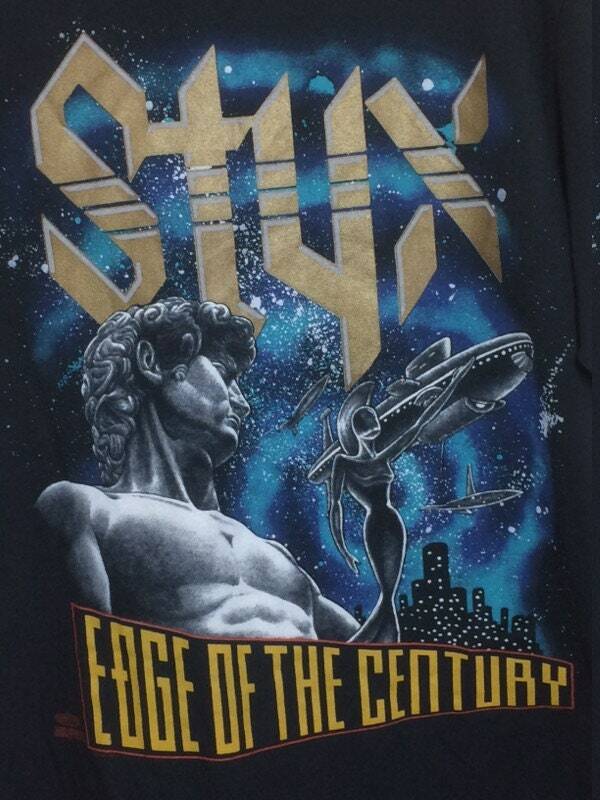 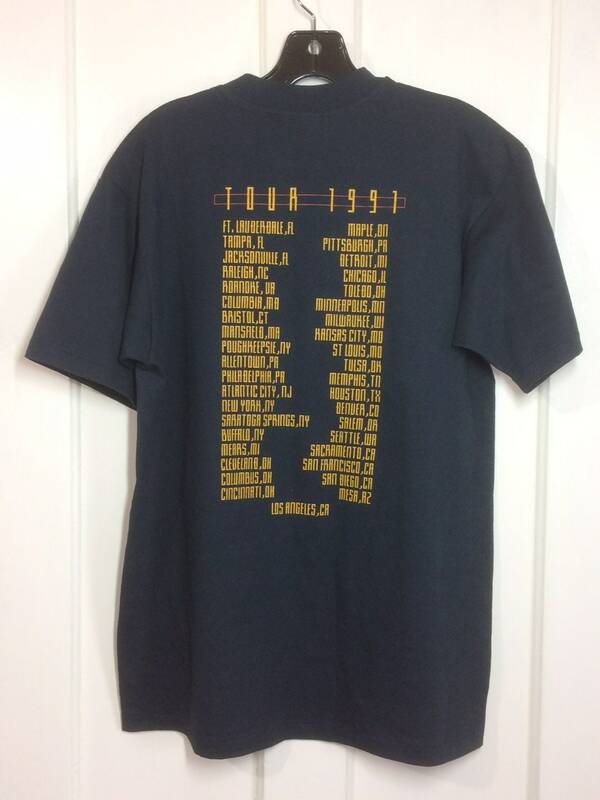 Here's a Styx, Edge of the Century tour t-shirt from 1991. 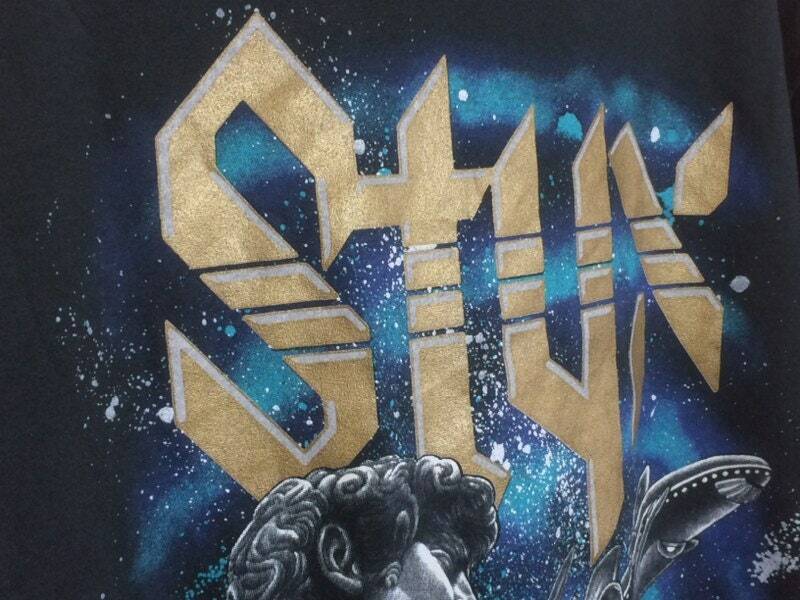 "Styx" is printed in metallic gold. 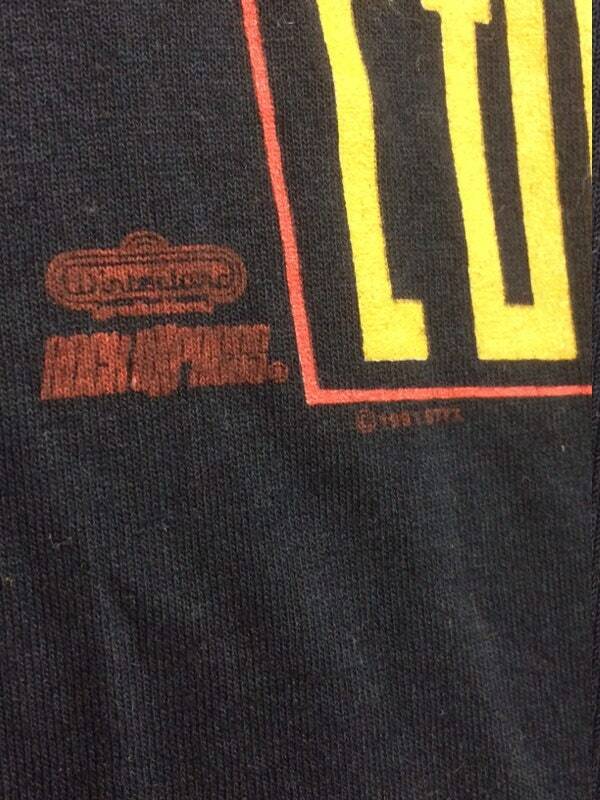 It's in excellent, barely used condition, no damage.